We are one of a very select few outfitters in Maine that can offer the opportunity to hunt black bear over bait in the spring time. This rare hunting experience has been made possible by the combined efforts of Shepard Hunting Company and The Penobscot Indian Nation. The spring hunts are conducted on a parcel of Tribal land in Grindstone Township, an area of approximately 8500 acres in size. 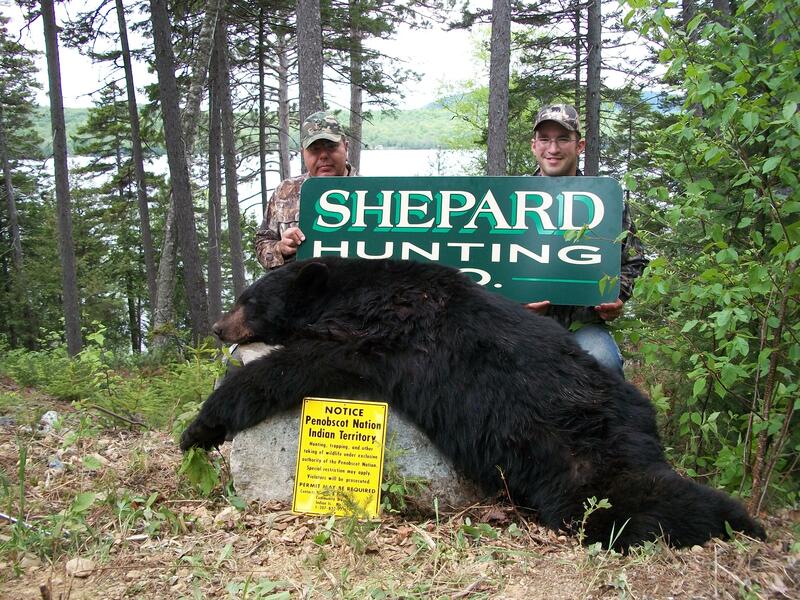 We are limited to only 12 hunters per season, and the result is a bear hunt unequaled in quality! Over the past 4 seasons, our hunters have enjoyed 100 percent shot opportunity, with an amazing harvest ratio of 90 percent! Our spring hunts consist of six days of hunting, seven days/nights of lodging,three home cooked meals per day, guiding, transportation, field care/skinning, quartering of your bear, and your Penobscot Nation hunting license. Baiting operations, stand set ups, allowable weaponry, and the logistics of the spring hunt are identical to our fall hunts. We are the only outfitters baiting for nearly 25 miles. This exclusive, world class hunting opportunity is only offered two weeks of each year, the third week in May and the second week of June. 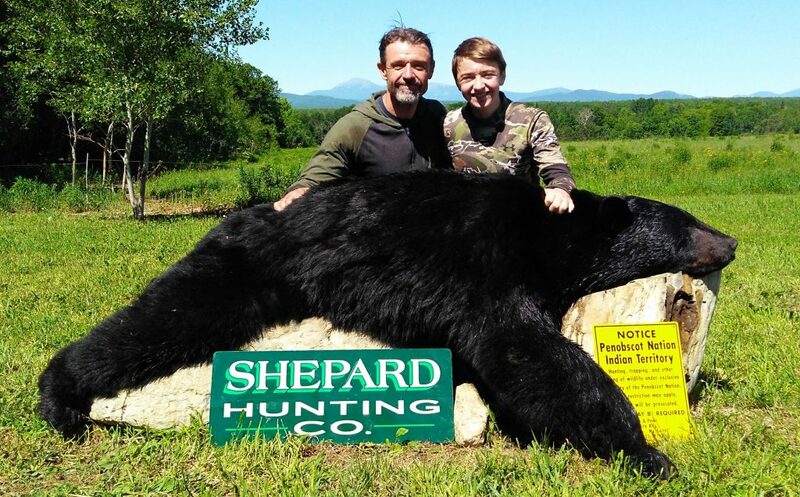 If you are looking for an unmatched Maine hunting experience, come join Penobscot Nation Guide Ron Bear, and Registered Maine Guide Ryan Shepard for a spring bear hunt.